PennsylvAsia: Chinese calligraphy workshop downtown, December 8. 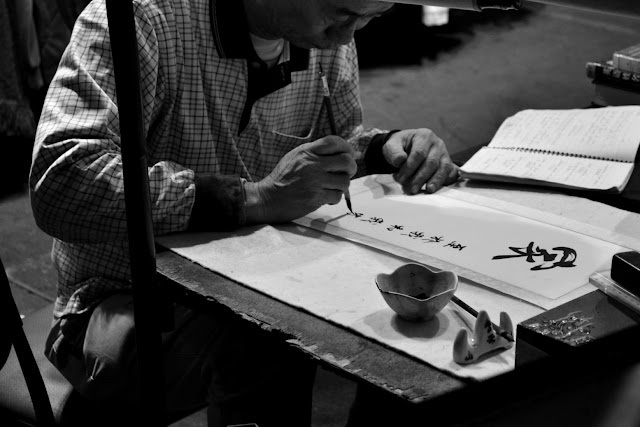 Chinese calligraphy workshop downtown, December 8. "Chinese calligrapher," by David Boté Estrada (Creative Commons). The downtown branch of the Carnegie Library of Pittsburgh will host a Chinese calligraphy workshop on December 8. A Chinese calligraphy expert will show us pictures of her home in China, give background on the art of calligraphy, and lead a Chinese calligraphy workshop for all ages! No registration is necessary for these sessions. Seating for all workshops is available to 20 participants on a first-come, first-served basis. You’ll want to come early to be sure you MAKE it on time. The event runs from 2:30 to 4:30 pm. The Downtown & Business branch is located at 612 Smithfield St. (map).